Cap sheet is a mineral based and granule-surfaced roof cover material coating. Its surface is covered with a crushed stone and gravel aggregate layer, while the layer underneath that is an asphalt saturated organic felt or fiberglass mat. Cap sheet membranes are a part of asphalt roll roofing, which is an easy to install and cheap roofing option. This is usually used on low-pitched or flat roofs. Installing cap sheet roofing is not only cheap and simple, but installing it is really easy due to its cap sheet dimensions and peel-and-stick installing principle. 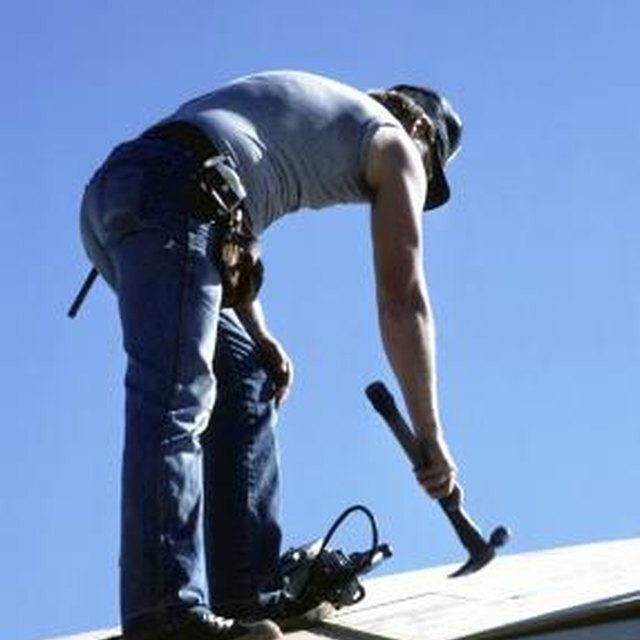 Prepare the surface of your roof before installing the cap sheets. Remove all the dirt and debris on the roof and sweep its surface with a broom. Clean the surface of the cap sheets, as well. Use a leaf blower to clean the cap sheets since dirt and dust tend to stick to its granulated top layer. Install a drip edge around the perimeter of your roof. Measure the perimeter of the roof to know how big is the area that you will cover. Cut the drip edge strips using metal snips. Then hammer them onto the edge of the roof. Use galvanized nails to attach the strips. The drip edge strips should overlap each other at least 3 inches. Coat the drip edge with an asphalt primer using a small brush and let it dry. Mount the ice and water shield barrier throughout the whole roof. Hammer in the material with galvanized nails to attach it to the roof. Make sure that the pieces of the water barrier overlap at least 2 inches. Do not to let the barrier material wrinkle or form big air pockets. Roll the cap sheets starting from the lowest point of the roof. The sheets should be parallel to the sides of the roof. Spread roofing cement beneath the cap sheets and nail the sheets as you go. Use roofing nails to nail the cap sheets. Apply roof cement to the unexposed areas of the cap sheet and 1 inch of the overlap area. Use a brush to apply the cement and repeat the process to the whole area of the roof. Roll the granulated layer sheet on the roof. The sheets should have a 2-inch overlap. Nail the corners of the granulated layer sheet with roofing nails to secure its edges. Nail the sheet every 4 to 5 feet. Seal the edge of the sheet with some more roof cement. Secure the whole surface with a heavy weight roller. Go over every portion of the roof. Roll along the sheets the same way as you installed them. If there are any wrinkles or cracks, fix the damage by applying roof cement.